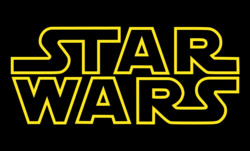 Plot: The next installment in the franchise and the conclusion of the “Star Wars“ sequel trilogy as well as the “Skywalker Saga“. 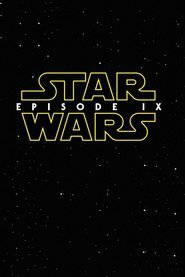 Star Wars Episode IX has a director, and it's the man who helmed the third highest grossing movie of all-time, Colin Trevorrow! The news was made official by Walt Disney Studios Chairman Alan Horn at D23 earlier today. Production is obviously still some time away, but the Jurassic World director will be heading to Lucasfilm this year to start working on the movie which is set for a 2019 release. "Colin is someone I’ve been interested in working with ever since I saw Safety Not Guaranteed," says Lucasfilm President Kathleen Kennedy. "The power of that film paired with the enormous success of Jurassic World speaks volumes about his abilities both as a storyteller and skilled filmmaker. We are thrilled to have such an incredible talent as Colin join our family and step into the Star Wars universe." Trevorrow adds: "This is not a job or an assignment. It is a seat at a campfire, surrounded by an extraordinary group of storytellers, filmmakers, artists and craftspeople. We’ve been charged with telling new stories for a younger generation because they deserve what we all had—a mythology to call their own. We will do this by channeling something George Lucas instilled in all of us: boundless creativity, pure invention and hope." The guy proved he could manage BIG with JP4.... let's hope for the best now! A lot of people seem to be disappointed (some even angry) that Trevorrow will be directing... I suppose I can understand it to some extent, since he's only directed two films in his career so far, which personally I think are both great! I have faith in him anyway. @Drum18 I definitely agree! This is awesome news! This man is gonna have an EPIC career ahead of him! Yeah, TBH... I really enjoyed the December release dates for Star Wars. It was becoming a Christmas tradition for my family and something to look forward to every year. Now we can say MAY THE twenty FOURTH BE WITH YOU. Same here... a little disappointed they've not gone with the usual December release, especially as it always felt like an extra Christmas present to see a new Star Wars flick around that time lol. Still, I'm not going to complain about getting it earlier than expected. Bring on May 2019! That's over 6 months earlier than others! That honestly wouldn't surprise me. I don't know how far ahead they were, if at all... but you would've thought they'd need extra time if anything since Carrie died, because surely that would've changed their plans a little at least. It's kind of funny that Disney is trying to replicate the direction of the Original Trilogy on a very Meta-Level. This Star Wars empire is crumbling fast. I'm agnostic - not a SWs fan, but....hell, give it to Lucas!! Hey, I'm not any less annoyed by the new characters than Jar Jar Binks.